This chapter reflects on the implications of the study’s findings on the intervening period since 1939. Since then dramatic changes have occurred to alter the balance of power in a world shrunk through globalization and both countries have had pressure from international agencies to conform to transnational models of education. 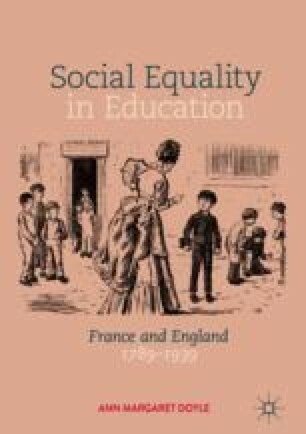 This chapter focuses on the progress and recent decline of comprehensive education in England and on the collège unique in France. It also discusses whether the explanatory factors in the study are still relevant in the intervening period.